For the better part of last week, veteran singer Nameless has been away in Dubai for a family vacation. 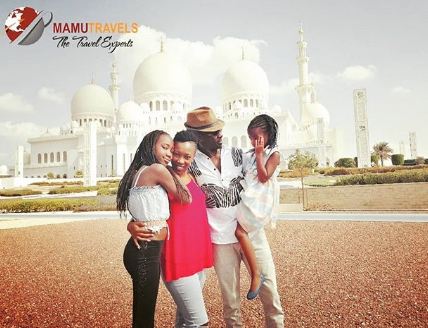 The singer took his wife Wahu and their kids to visit the country which has grown into a major tourist destination. “Honestly, I rarely just do any site seeing and tour activities when on my music tours… I have been to Dubai so many times but inakuanga tu, hotel check-in, soundcheck, radio interviews, maybe some shopping in a mall, club performance, after party then straight back to airport… So this has been a special trip filled with activities I didn’t even know existed and more so sharing this moments with my favorite pipo has be ! !” said Nameless while on the trip. Now that he’s back, the artists has come back to a series of lined up shows and he’s looking fresher and even jovial. 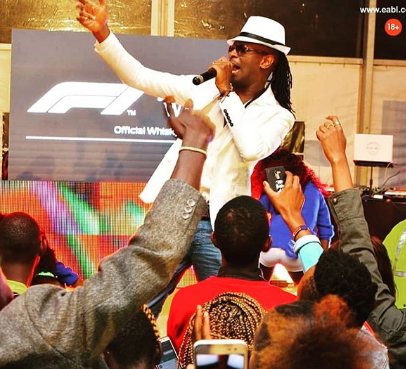 Nameless is expected to conclude this week with a major performance at the Florida Nightclub where three young guys are hoping they’ll be crowned the next top DJ in Nairobi in the Jamsession Reloaded DJ Battle. The singer has been on social media trying to hype fans for the event which will go down on Friday and will have DJ Bash on the decks.